But when I later asked Norton about the Republican who is actually in charge of the subcommittee that oversees the District of Columbia—a South Carolina freshman named Trey Gowdy—she had gentler words. His colleagues may be impossible, but Gowdy, according to Norton, is an honest “gentleman.” “I so appreciate his attitude, which is very different from [the other Republicans],” she told me. Mayor Gray agreed in an email, calling Gowdy “open and honest.” This begs an obvious question: If the Republican leadership is provoking so much ire among D.C. autonomy activists, what exactly is this Tea Party congressman doing right? 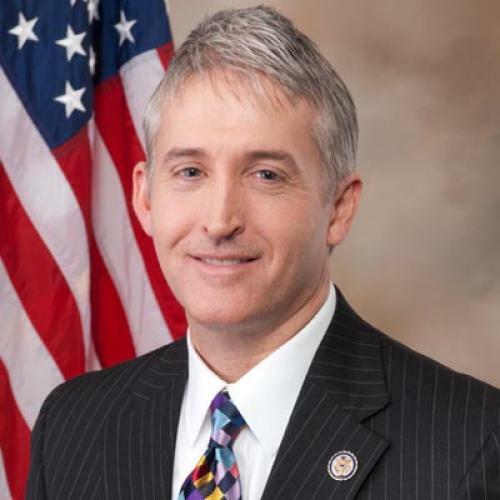 Norton and Gray, of course, might be couching their words because, whether they like it or not, Gowdy is the man to whom they must plead the District’s case. But as it turns out, there’s good evidence that their opinions of the congressman are more than empty flattery, as Gowdy’s done more than a few things to indicate he’s not all bad for D.C.
CONSERVATIVES HAVE A long history of meddling in District affairs. One of Gowdy’s most infamous predecessors, a fellow South Carolinian named John L. McMillan, was chairman of the subcommittee on D.C. every session but one from 1945 to 1972. An ardent segregationist, he prevented the majority-black city from achieving any kind of self-government—until black activists organized in his home district and voted him out of office in 1972. And while the Home Rule Act was passed in 1973, that hasn’t prevented conservatives from continuing to intervene when it suits their agenda. For example, from 1992 to 2002, Republicans prevented D.C. from creating a domestic partnership registry, which would have allowed unmarried couples the same rights as married couples. In 1998, Congress banned the use of local funds for syringe exchange. (The ban was lifted in 2007.) Also in 1998, Congress forbade the city from using local tax dollars to count the votes in a referendum on medical marijuana. Between 1995 and 2001, Congress instituted a Financial Control Board to decide the municipal budget. The past couple years of a Democratic-controlled Congress provided only a short reprieve, and, following the 2010 election, D.C. autonomy activists feared that the new Republican majority in the House would further intervene in District affairs. They predicted their new foe would be Republican representative Jason Chaffetz, a staunch conservative from Utah who had been outspoken about his plans to repeal gay marriage in the District, block attempts at D.C. voting rights, and “retrocede” the District into the state of Maryland. But then Gowdy, not Chaffetz, was made chair of the subcommittee on Health Care, District of Columbia, Census and the National Archives, and D.C. observers quickly tried to size up their new ostensible opponent. As it turns out, Gowdy has been a surprising chair not because of what he’s done, but because of what he’s chosen not to do. Given the opportunity—and constitutional authority—to meddle, he’s been remarkably hands-off. He has said he does not plan to add any amendments to this year’s D.C. municipal budget. For activists who had predicted a return to the reign of terror like that which took place under GOP control during the 1990s, when funding for programs related to needle exchange and medical marijuana was nixed, Gowdy’s restraint has been a welcome surprise. And while the D.C. budget, as it currently stands coming out of the appropriations committee, prohibits the use of local funds for abortion, it says nothing about other traditional conservative points of contention like gay marriage or gun control. Moreover, instead of attempting to reinstitute a Financial Control Board to decide the District’s budget, Gowdy has backed an idea to decouple the D.C. budget from the federal budget process. While Congress would maintain its oversight role, local funding would be approved after the D.C. City Council votes on the city budget in June, instead of having to wait, as is now the case, until the fall for Congress to approve it as part of the federal budget. If anything, Gowdy’s words seem to imply a veiled but principled respect for local control. “I was not elected the mayor of the District of Columbia,” he said plainly. Then he joked, “I’m unelectable in the District of Columbia.” For past conservatives placed in charge of D.C., a general philosophical commitment to local autonomy appeared to matter little when it came to the District. But Gowdy’s emphasis on deferring to local authority appears more consistent. He’s chosen to meet with D.C officials in their offices instead of his own, sought areas of agreement instead of contention by reaching out to address boring but manageable topics like Metro safety, and largely abstained from digging into local minutiae. Of course, Gowdy did support legislation prohibiting the use of local funds for abortions, calling himself “unabashedly pro-life.” And he’s been consistently vague on the most important issue: D.C. voting rights. “I would hasten to add that when the other side had the House, the Senate, and the White House, D.C. voting rights didn’t fare any better,” he told me. He explained that the District of Columbia is “constitutionally unique,” as the only jurisdiction mentioned by name in the Constitution. Though he wouldn’t comment on specific solutions, he expressed openness to different proposals. “The only thing I would ask is that the argument would be made consistent with the letter and spirit of the Constitution, and I’m willing to listen to any arguments anyone has,” he said.